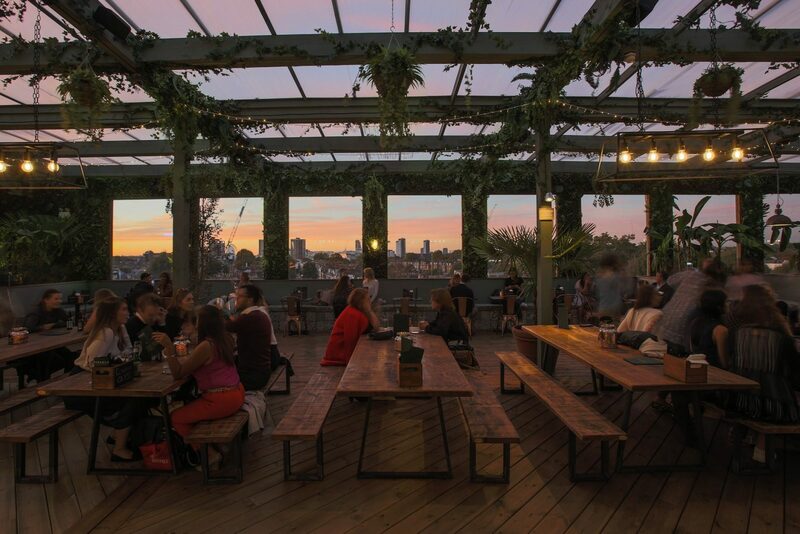 Rooftops aren’t just a thing of summer anymore just because the days are getting shorter and the nights colder it doesn’t mean we should ignore those beautiful views over London from a rooftop. With the Christmas lights twinkling on every street, the city looks magical from above. To help you make the most of the upcoming season we have scouted around for some exciting festive winter rooftops in London. You can now escape into a botanical haven with the views overlooking London. 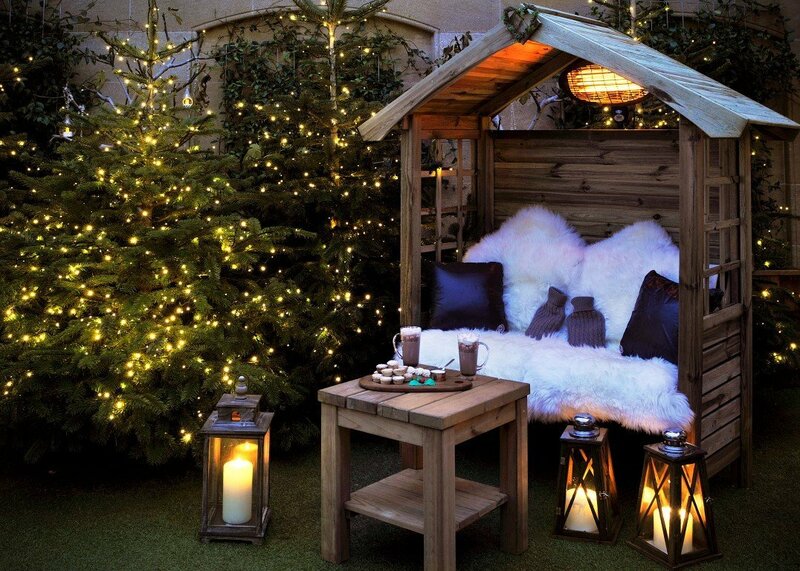 This winter season the summer hotspot Pergola Paddington have opened a brand new rooftop in Olympia London. 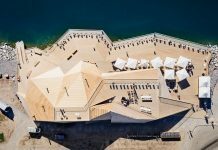 What’s impressive is that this historic London venue has for the first time ever opened a venue on its rooftop. Pergola Rooftop comes with floor to ceiling windows so you can keep warm while enjoying the views of London. 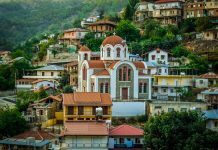 As the name suggests expect to be surrounded by lush vegetation, exposed brickwork and rustic furniture. As soon as the festive season arrives in London ice skating rinks start to pop up everywhere. This year taking it to a whole new level is the roof garden at John Lewis. 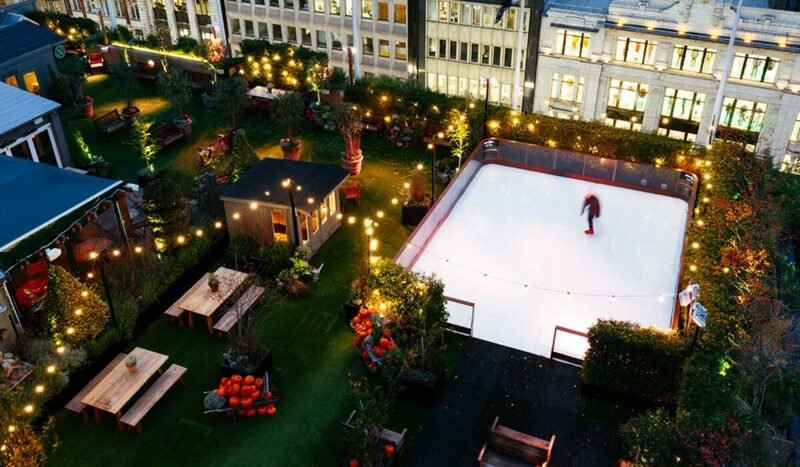 For the first time ever, John Lewis has installed an ice rink on their rooftop. 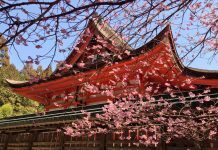 You can escape the cold and enjoy a meal in their winter cabins. 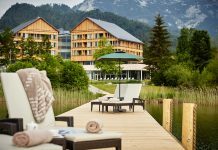 As you would expect there is everything from cocktails, wine, freshly baked pies, gin masterclasses on some days and even hot gin! All of this with the spectacular backdrop of London. The Berkeley’s rooftop winter cinema is re-opening this year with daily screenings during December. Showing the classics ‘Miracle on 34th Street’ or ‘Nutcracker’, on the big open-air screen. There is nothing quite like getting cosy in winter and watching a Christmas film and even better if it is overlooking the twinkling lights of the city. it is an intimate affair with just 8 seats. You will find fluffy cushions, Moncler fur wraps, heated velvet blanket, hot water bottles and heating lamps to keep you warm. Adding to the festival feel there’s also mulled wine and hot chocolate. As you would expect from Berkeley it doesn’t just end there, the menu includes Angus beef sliders, hot dogs, lobster pizzettes, champagne, Berkeley Beer, and of course no film would be complete without some popcorn. Londoners love a bit of ice skating during the festive season. Skylight in Tobacco Dock has changed the whole ice skating game by hosting London’s first rooftop ice skating. 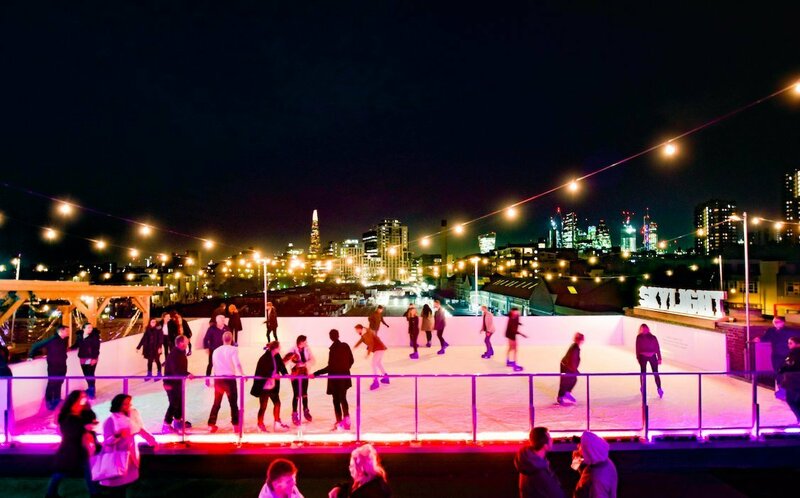 Whether you are a pro or a beginner enjoy London’s skyline while you take a spin on the ice rink. If the city’s winter gets too much for you, head to Level 9 which is transferred into a toasty neon-lit haven with full indoor heating to keep you warm. 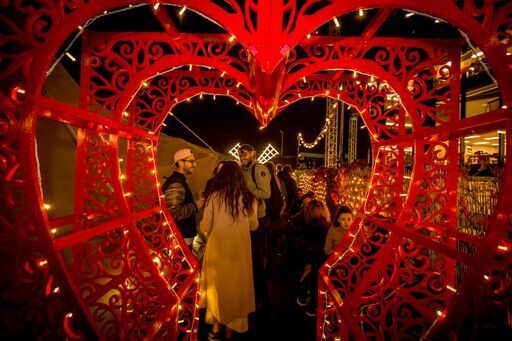 There’s also delicious fondue, seasonal cocktails and mulled wine on offer to get you in the festive spirit. 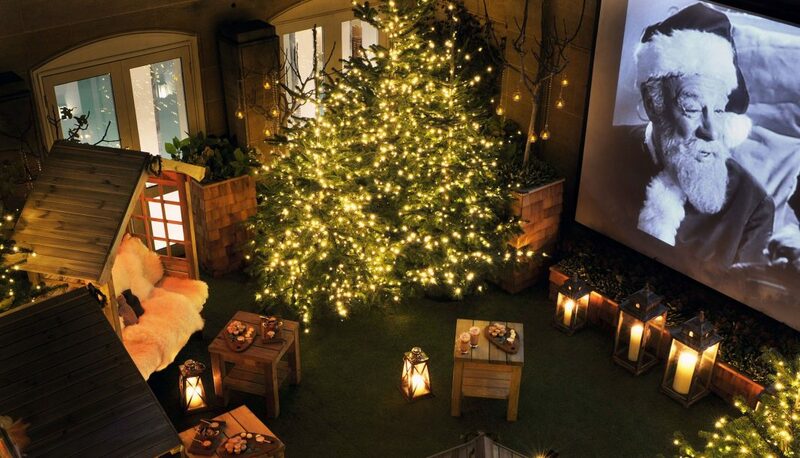 As the festive season approaches the roof garden at FEST in Camden transforms into FEST Winter Chalet. The 200-year-old stables along with the rooftop turns into a winter wonderland with a new festive hearty winter food menu and special winter cocktails. There is everything from the Christmas classics such as mulled wine, winter sloe negronis, toasted apple and maple syrup martinis and spiced mojitos to warm you up. 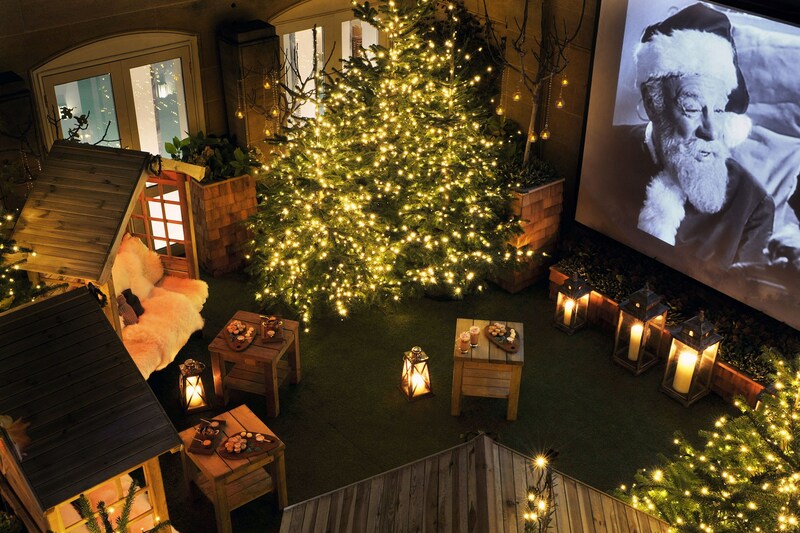 The outdoor cinema club takes place from Mondays to Wednesdays, the winter chalet is candlelight to get you in the festive spirit. 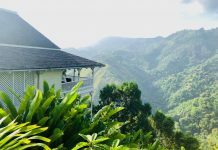 Roof East are taking a different route this winter and bringing a slice of Jamaica to the rooftop. They are out to impress with a curl runnings theme to celebrate the 25th anniversary of the classic film “Cool Runnings”. 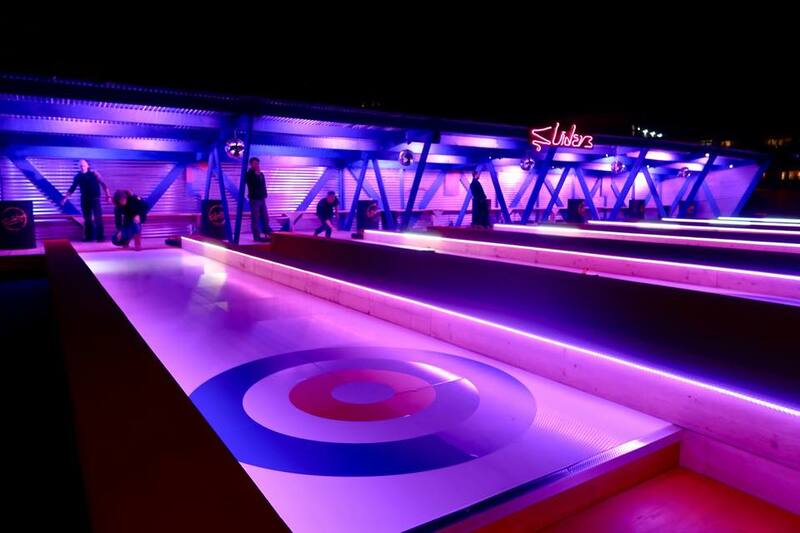 Perched on the 8th floor overlooking the twinkling skyline of London, this neo lit rooftop is giving you a chance to show you off your skills on the ice with curling. Playing Christmas classics in the background including the musical talents of a steel drum band some evenings. Expect sliders, the BBQ Club and delicious Jamaican-inspired beverages with a backdrop of London’s skyline. Queen of Hoxton is back to impress us yet again this year with a theme called lady Celeste. Think of the dazzling world of Moulin Rouge, velvet drapes, cabaret tables and illuminating lights all over the rooftop. 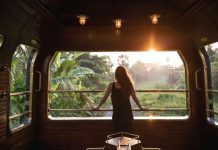 As soon as you enter the large wigman on the rooftop, you will feel like you have escaped the bustle of London and entered the bohemia of 20th century Paris. 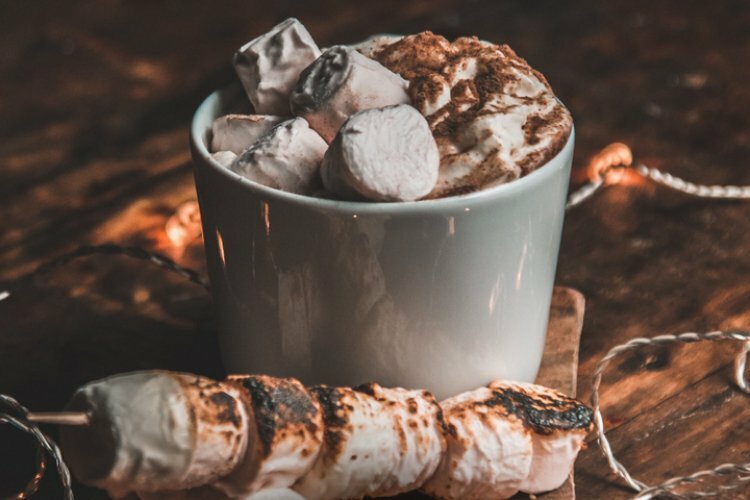 Set against the backdrop of London’s skyline, this rooftop even offers an open fire pit to keep you warm … or take this opportunity to toast some marshmallows.